not existing before; made, introduced, or discovered recently or now for the first time. already existing but seen, experienced, or acquired recently or now for the first time. Which definition of NEW do you think the phrase, “new year, new you” is referring to? Or more importantly, which one is your default? When we want to change ourselves, it can be difficult to decipher between small shifts and the desire for a full makeover. We often look towards the “not existed before” (a.k.a. complete transformation) as our way to achieve change. But what if our effort went towards being more content more of the time? Would our perspective of what is necessary for the change we seek be the same? Practice has the power of helping us breakdown the big-shiny-newness into smaller newer particles. When we find our practice, we dedicate ourselves to sustainable change. These shifts may be from the inside out, not a total physical transformation in the blink of an eye, but rather, small developments from a place that “already exists”— an uncovering “seen, experienced, or acquired recently or now”. A new you, over and over again. But how do we change our perspective so that we can focus on small daily changes? Let’s try this experiment for the month of January, find 20 minutes of breathing and moving as close to everyday as possible. By doing this, we give ourselves the opportunity to change our perspective. We may become more specific in the change we want or gain a fresh view of our weight and body image. Instead of wishing to be absolutely new we practice daily and begin the work of seeing clearly where we are, and noticing the changes that practice offers us. In this way, we inevitably move towards our goals. If you don’t already have guidance for a practice, join us for Transformation, our 9 month course in Peaceful Weight Loss. We offer many practices that are available 24/7 as well as the guidance to use them and prioritize small lifestyle shifts. May the new year connect us all to our intention for personal peace and well-being and may our minds bring new found contentment. I got back from vacation last night. On vacation I found my mat a little, but mostly I did vacationy things, relaxed (as much as you can with 2 kids), and ate foods I don’t usually eat. Don’t get me wrong, I ate things I often eat as well, but like most of you can relate, I also ate “vacation foods”. So, what can we do after “falling off” our normal patterns that keep us balanced? This morning, I reset. I woke up and practiced a little extra. As I approached my mat (feeling lethargic and a little dense) I set my intention. Alignment. I wanted to find alignment in my body, breath, mind, and soul. I rely on my practice to guide me toward my intention (sankalpa) whatever it might be on any given day. Today it would center me in my inquiry into alignment. 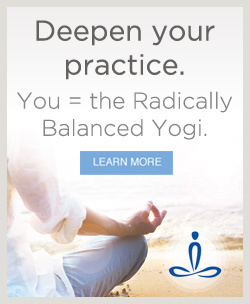 Our practice has the power to help get us back to where we need to be. No matter how long it’s been, If you’ve “lost touch” with your practices that leave you feeling better, all you have to do is find them today. Approach it with non-judgemental awareness. It’s a reset, not an arraignment. I could have muscled my way back to yoga today with lots of planks and physical fortitude, but instead, by way of a deeper connection to what yoga has to offer and what practice I needed, I realigned. My body feels less dense, my mind more clear, my heart more spacious, and I’m once again breathing deeply. A client reached out to me this week needing some bolstering around this exact topic. I thought I would share this little antidote of my reset, as an inspiration to those of you looking to find your’s. Today I thought I would take a moment to talk about our social life and how it relates to weight loss. As we all know, weight and body and food can be difficult. But why is it that friends and social experiences, around food or not, are entwined in our process of change? Here are my two cents. When we are in the Peaceful Weight Loss process two things happen. We are changing from the inside out and with this change, our externals (or everything that has always been) are no longer in complete alignment with our internal landscape. One thing I hear a lot in this work is how difficult it is to have the weight piece not match the internal shifting because explaining that you’re doing all this “weight loss” work when you’re not exactly losing weight makes zero sense to most. They, and we(! ), want to see results to know change is happening. An intangible paradigm shift is NOT weight loss. At least not right away. Within this same line of thinking, being able to articulate every minutia of change is impossible. So therein lies the rub. How do we stay intimate or connected to others, or more importantly, in our current life as we know it, when our process is so personal and subtle? Furthermore, we have relationships that may or may not be about/around/connected to food specifically, but often when we’ve made shifts with our relationship to food, they are not in complete alignment with how we interact socially: eating, drinking, types of food, food environments, who and how we spend our time with, etc. This can be confusing for everyone involved. For example, when we have a drug buddy and stop using, where is our common ground now that drugs are out of the picture? More so, when we have a baby, we connect with others who are also going through the tender experience of newborn-dom, however, when our children become their own people, and we become more seasoned parents, we have all grown and changed, and may not have anything in common anymore and perhaps, upon reflection, never really did. May we all feel completely integrated in all aspects of the self. Every year, right after New Year’s, I am caught up in a flurry of activity. People are interested in working on their New Year’s resolution—which is to lose weight and be healthier this year. Of course, it is best if we are always as healthy as possible. But New Year’s does seem to be a good time to start something. We’ve seen our friends and family over the holidays, so this month we have fewer social obligations. At the office, sweets are not in front of us at every turn. The frantic holiday energy on the street has calmed down, allowing us to focus inward. So how to start? A cleanse? A radical change in diet? Get up at 4 am for a three-hour workout? These measures are probably a bit extreme, and often lead to a short burst of adherence, followed by a return to old behaviors. I suggest we all (new to this practice or not) focus on the joy in our practice. If you are new to yoga, you are in for a treat—find a brief time (20 minutes or so) daily to do a stress-relieving practice. If done in a light, easy, not-too-serious way, you will experience great joy. If you already practice, re-evaluate what you like about it. Go to classes or do sequences that leave you feeling energized and happy. Remember your beginner’s mind, and swim in the positive and peaceful feelings that your practice brings. Extend this joyful practice to eating. Relish and enjoy the daily foods in your life. Take a small amount of time to contemplate how food enhances your life. Notice the complex and interesting flavors of your favorite foods. Allow the experience of eating to be fun. I was reminded of this while eating clementines recently. What sweet could be better? If our resolutions include these joyful practices, the more challenging aspects of our lives will be balanced—and where there is balance, there is peace. So I just found out that my name means food. Does anyone find this as funny as me? For someone who has struggled with food and weight, to learn that in Hindi my name means food (or ‘rice’), seems a little ironic. So I decided to write a brief newsletter reminding us of the love side of food, rather than the difficult part of our food relationship. Or more specifically, what to do into the new year to avoid a big food explosion ending in the “this year will be different” resolution. The holidays are upon us. The average american gains 10 pounds over these months every year. And if you’re reading this, we can assume that that is the opposite of what you want to happen. So try this over the next couple of weeks. Bare down. Not with food, but with your practice. Do it daily. Decide beforehand and plan what you will do. Yoga nidra every night? Breathing and moving for 20 every morning with your favorite class in the mix? 10 minutes of pranayama in the bathroom stall at work before lunch? Watching a video on YouTube or for 5 bucks here with me each day? Forget about the struggle that is food for a minute and shift your focus towards yoga. Do your practice consistently and allow it to uncover whatever is. Perhaps it will provide necessary breath around all the emotions that come up rather than pushing them down. Maybe it will give you a needed break from family and work. Even more, it might even remind you that peace is your birthright. It can only help, right? So enjoy the specialty foods that surround you, rather than being at war with them. Let your practice support you in taking delight in this time of year and the foods and feelings that accompany it. Tonight I am sharing in this historic moment with friends and family. There will be a lot of food, drink, and dessert. Not my typical Tuesday night fare—I’ll likely eat more than usual. But I have a plan. Breathe. A lot. Do some yoga before and after. Trust in the long game, and not worry about the specific calorie count today. There are bigger and more important things to think about. The ability to reset is the Peaceful Weight Loss bija. Our practice is always there to bring us back to what we need to do. This is the after party. So, may we all remember our practice today, tomorrow, and beyond. All of the other pieces, in or out of our control, will know their place, with a grounded perspective. It’s so discouraging. We’ve been trying to maintain or lose weight and one day we step on the scale and BOOM there it is – we are heavier. For so many of us this is inevitable. We don’t want to hear it, but it’s true. Changes in diet, sleep schedule, stress levels, etc. happen. And with these can come weight gain. In my personal journey I have seen this many times. Of course, each time it happens, I freak out like anyone would who is trying to maintain their weight. Mostly because I don’t want to deal with it; analyse, dig deeper, change things, and most of all except my current circumstances. I want to be frustrated and throw in the towel—even as a weight loss professional. So what do I do instead? I practice yoga. I bring my energy back to center and I make a plan. What needs to shift? Do I need more sleep? Do I need to practice more or in a different way to get stress out of my body? Do I need to rearrange my schedule a bit? Do I need to change the way I’m feeding myself. And as I do this—as my practice deepens and progresses—I have a little more perspective on why this happened. Then the fear arises. Maybe I can’t do it? Maybe this is too hard. Maybe I can’t change or eat differently. Maybe I’m a lost cause? But that’s just fear talking. Once it passes, I realize I can do what I need to do. I remember that I feel better when I do these things. My health and energy are improved and most importantly, I’m happier. So I make a plan. I write down 2 or 3 shifts that I know will help and begin again. I find the reset button. And each time I do this, it works. And as time passes this entire process shortens. The fear last less time and so does the extra weight. So if you find that scale not to your liking one day, remember that this process is there for you. Change is guaranteed. The way in which you change yourself has everything to do with your willingness to engage with your own body, breath, mind, and heart. Be guided through the Peaceful Weight Loss process with Transformation, our 9 month online course. There is a theme in the Peaceful Weight Loss process that is a microcosm of this day in age. It’s the feeling that you’re not doing enough or getting enough done. It’s the thought pattern that you’re not engaged fully in a [weight loss] process when you are, or as a Transformation participant articulated this week, feeling like you’re “avoiding” something, even when you’re not. This happens all the time—this feeling of inadequacy or falling short in the effort you need to be successful. Often when we trace it back, or look more closely, my clients, and others involved in the Peaceful Weight Loss process, are in fact fully engaged and doing plenty. So why do we think we’re underachieving, or not accomplishing enough and how much do we need to do in order to believe that we’re on our way to where we want to be? When we plant bulbs in the Fall, we work hard to get them in the ground (acquire them, weed, dig, and plant) but we don’t see the beauty of their bloom for the time it takes for our planet to travel halfway around the sun. Their evident growth and beauty takes time, just like a sustainable shift in our body and weight. We may be disappointed when we don’t lose weight immediately or see a difference in the mirror or when we put clothes on, but we shouldn’t be. Working on our mind and body is a process that has many facets, all of which need watering and nourishment. This is why practice is key. It helps us with our mind when it tells us that we’re not doing enough, that something has to happen now(! ), even though something IS happening! Getting our thoughts to recognize this is an important practice. If you are making shifts and feeling better about choices you are making, wiring practice, drinking enough water, enjoying micro-practices including breath, eating regularly, shopping in a non reactionary way, getting enough sleep, [fill in the blank on whatever one thing that you’re working on today]—you are doing enough. Each step leads to the next. The flowers will only bloom if the bulbs are properly taken care of. So when you wind up seeing the number go down on the scale, you’ll see that enough was truly enough. But for now, It’s our job to keep on keepin’ on and move in the direction of where we want to be. Inside and out. You are your beautiful landscape. Are you looking for your next step to do enough? Join us for our online course. You can call in every other week to connect with me and the rest of our Transformation community as a way to remember and know that you are heading in the right direction, one step at a time. [Here’s more info]. I spoke with a Peaceful Weight Loss client this week. She said (jokingly, but not) that she was looking for her “Aunt” in the fridge. She correlated the search for late night foods (you know, the bluurrr from 5pm-bedtime) to longing for someone or something. The food brings temporary comfort—something most of us can understand (especially if you’re part of the PWL community at large). I can certainly relate this metaphor. When we’ve struggled with our weight, food is an issue. It manifests in different ways for each of us; we don’t eat enough much of the time, we eat too much; we starve then binge, we binge then starve, too much, too little….on and on. The key ingredient is the suffering. We often think that it’s our feelings—missing our Aunt—that bring us to binge or eat in a way that isn’t working for us. But here’s the thing. It’s not just filling the space and soothing our emotions that we are doing and it’s not our feeling blue that is our eating problem. Often when we are “searching” for what to eat, the simplest thing is right in front of us: We haven’t fed ourselves enough nourishing, yummy food (you fill in the blank of what that is for you) and we land in a place of both blood sugar crashing and the need for satiation. The difficult feelings make it a perfect storm. But we are extremely resilient human beings that have been through lots of hard things. And if our blood sugars are stable and we consistently allowed (or not deprived) ourselves satisfying food/s, the feelings would just be there, by themselves, not causing an unbearable barrage, exacerbated by starvation, exhaustion, and fear (of when and what we’re going to eat again). So I leave you with this. Your loss and struggles are real. You are also strong and capable. Enough sleep, water, practice(! ), and regular eating throughout the day from the time you wake will set you up for less and less food behaviors that aren’t serving you anymore. But don’t take it from me. Do an experiment this week and find out for yourself. Eat 6 times/day. Breakfast, snack, lunch, snack, dinner, snack daily. Eat things you like, even if someone or something told you they’re “bad”. See if by putting your effort towards these things brings you more comfort and ease. Maybe this will also allow you to miss your Aunt, rather than search for her in the fridge. Yoga For Weight Loss. Why Does It Work? When most people think of losing weight they think of hitting the gym. Sweating a lot and watching how many calories are burning on their favorite (or least favorite machine). When they think of yoga they imagine slow movement – a glorious warrior 2 pose and inner peace. So why would yoga work well for weight loss? If you look at how many calories burn from yoga, it’s downright unimpressive. For years we here at Peaceful Weight Loss we have been teaching slow, simple yoga practices to help with the weight loss process. It is an integral part of our overall weight loss plan. In fact, it is so much more important than hitting the gym that we favor it above all other forms of movement. Here’s why. Yoga practice done properly changes our nervous system response. This leaves us less stressed. Stress hormones are a key problem in weight reduction. Put simply – stress hormones = weight retention. Yoga is a great way to work with this. Much overeating and binge eating can be attributed to anxiety, depression, or even big mental highs. Yoga practice helps us maintain a strong grounded mental state that translates into less emotional eating. Yoga teaches us to practice in a way that expands our body’s possibilities while deeply accepting its’ limitations. Unlike exercise where it’s constantly asking us to do more, yoga is about contentment. This creates a deep peace within us. Peace is true power. Change begins with this acceptance. This is not to say that their aren’t great reasons to hit the gym, but when considering a long term movement plan to drop or keep weight off—yoga is an excellent choice. Click here to learn more and register for Transformation. Our 9 month course in Peaceful Weight Loss will guide you through—step by step.